Helping you come up with a list of must-haves to find the right college. Mapping out a long-term preparation plan. Testing that gives you different college majors to consider. 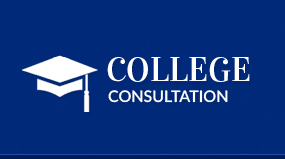 Assisting you with applications and resumes to improve your chances of college admission. Assisting you with writing solid admissions essays. Assistance and information on how to find scholarships. "My son’s first PSAT scores were good but he thought he could do much better. I hired James mainly to help improve my son’s reading score. We were hoping to get it into the 700s. He concentrated on vocabulary and grammar. He scored a 217 on the PSAT and an 800 reading/ 760 math on the SAT. Thanks James! The tuition at Knowledge Guides is so much cheaper than the college tuition waivers we hope to get from merit scholarships." Mr. James, I wanted to let you know how much we appreciated you working with Joel during his high school years. He improved his PSAT scores by 38 points and scored nearly 2300 in SAT. He is now getting ready to attend Stanford in the fall. We are very proud of his academic success and very appreciative of your support.